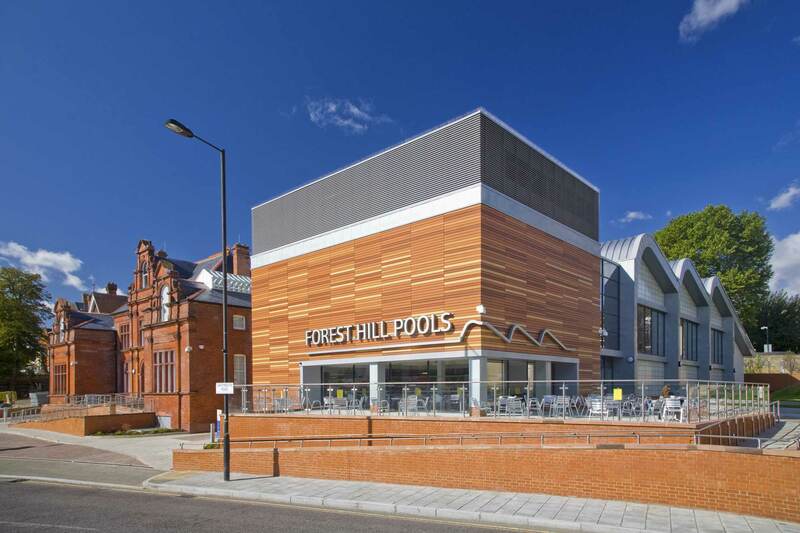 The redevelopment of Forest Hill Pools included the refurbishment of the original Superintendents Building to form the main entrance and reception to the facility and first floor changing area, with the majority of the facilities being provided in the modern additions. Facilities include a 25m pool, a 16.7m learner pool, fitness gym, two studios, a community meeting and exhibition spaces and a café. A new “pocket park” next to the building and extending along Dartmouth Road, provides valuable public open space and transforms the public realm.